Many spells in the deck are actually rather well costed and can be played quite early. If Stinkdrinker Daredevil is out and about then you can sneak your larger giants out sooner than you would imagine. The best thing about Stinkdrinker (other than his sense of humor) is that he doesn't die to Pyroclasm, Volcanic Fallout, or Magma Giant. Volcanic Fallout is obviously your board sweeper of choice to handle the little ones before you setup the big guns. Taurean Mauler and Hamletback Goliath grow insanely fast in multiplayer and are probably the tastiest targets to fling at opponents by utilizing Brion Stoutarm's grenade toss ability. 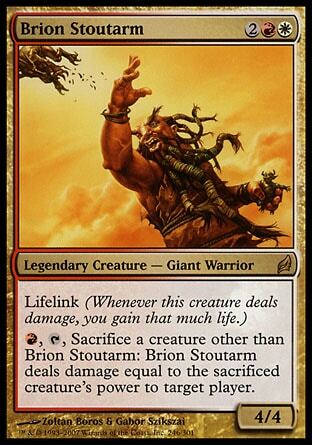 Remember that Brion's ability actually gains you life thanks to lifelink. The rest should be pretty self explanatory. Play some giants and let them grind your foes bones to make your bread. Normally I don't combine these sections but you have to understand something that's unique about this listing: there isn't even close to a perfect build for this. 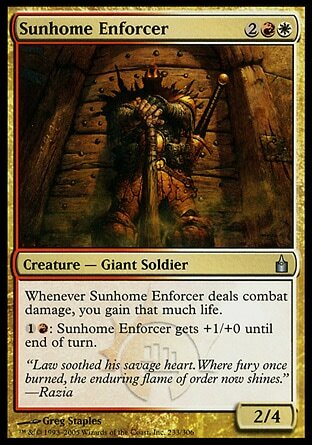 If your meta is filled with more aggressive decks or lots of tokens then replacing the Feudkiller's Verdict with Magma Giant to have multiple board sweepers might be your best bet. 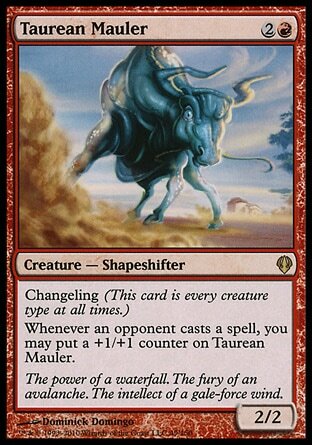 If your meta is filled with control decks that like to play WoG effects and wipe the field clean then you might want to add Marshal's Anthem or Ghostway possibly to waltz around that annoyance. Jotun Grunt exists to rip apart strategies that abuse the graveyard and so on. You get the idea. Check out the other options I listed below the decklist and think about how you might need to tailor your deck around your meta. It really just depends on what you expect to face and how you want to tweak the list. This is Kylak signing out and expecting you to fee-fi-fo-fum your way to victory.